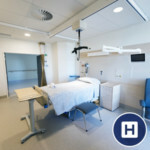 High dependency hospital equipment including ceiling hoists for multiple wards and height adjustable bathrooms. Full solution specifications including ceiling track hoist systems from bedroom to en-suite and hi-lo bathroom equipment. For partial adaptation or full transformation of bedroom, bathroom or living spaces, OpeMed can supply a complete solution for hoisting, changing and bathing. Installation of Changing Places equipment for the disabled users in sports stadiums, concert-halls, theatres and other public buildings. 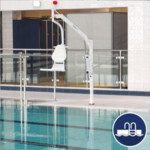 Installations include swimming pool hoists and changing places changing facilities. 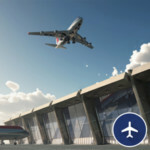 Installation of hoisting and changing equipment within Changing Places facilities for travellers and Hotel Suites for disabled guests. 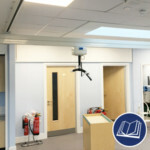 SEN and mainstream schools use OpeMed changing tables, paediatric slings and ceiling hoists for classrooms, changing rooms and bathroom. 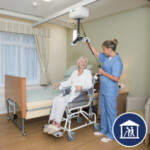 Floor hoists, ceiling hoists, shower trolleys, assisted baths and patient slings for fast, safe and easy transfer. 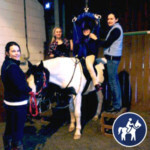 RDA assistive hoist equipment for hoisting to and from the horses, suitable also for stables with high ceilings.